At O2VAPE we take the challenge of providing our wholesale clients with quality and innovation in vape pens VERY seriously. That is why we have designed the Patent Pending FLIP® Vape Platinum Edition (click for all product details) to improve on our industry leading Wholesale Original FLIP® Vape Pen. Now you can get the industry shaking Flip Platinum Vape Pen in bulk for your vape shop, or to package your own product. 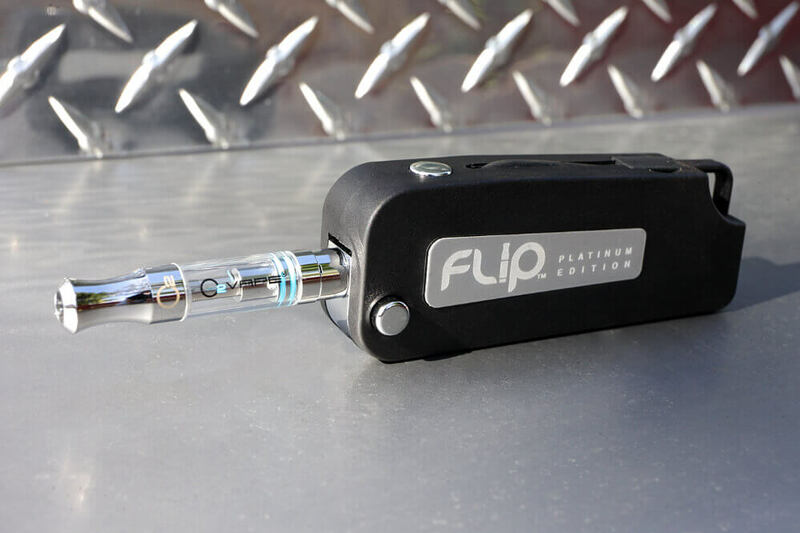 For extensive details see our Flip Platinum Vape Pen page. This flip kit comes with our award winning ceramic cell cartridge in .5ml with a 1.66mm hole size, variable voltage functionality, built in usb charger, right handed design (no offense lefties, we love you too) and 510 thread for use with the widest range of vape cartridges, lifetime warranty and slick packaging that is perfect for your shelves or display case.